The moon is getting brighter so capturing the Milky Way is a challenge. 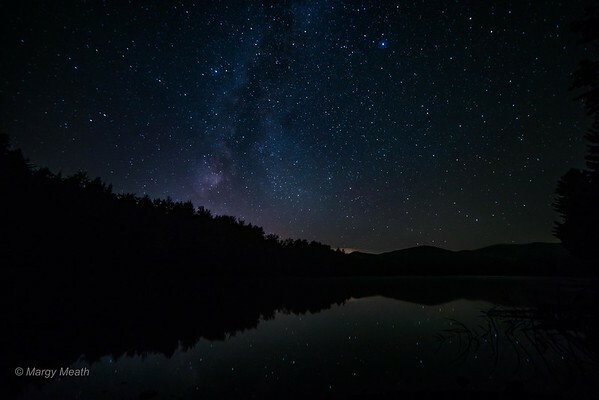 I was able to get just a bit of it last night over Colton Pond in Killington - also captured some star reflections! Great job mm!!! Love it! You succeeded nicely in spite of the light if the moon.